14K Vanilla Gold® Cornflower Ceylon Sapphire™ 1 cts. Ring with Vanilla Diamonds® 1/2 cts. 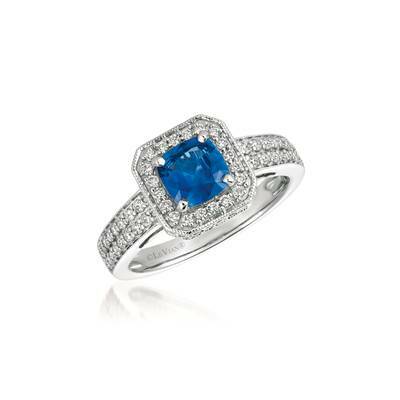 Sapphires symbolize a pledge of trust and loyalty, making it a popular choice for engagement rings. In ancient times, the Persians believed the earth rests on a giant sapphire. Its reflection, they said, made the sky blue. Sapphires are found in many areas of the world including Kashmir, Burma, Sri Lanka, Madagascar, Thailand, Cambodia, Australia, Tanzania, Kenya, and the United States. Sri Lanka, formerly known as Ceylon, is the birthplace of the Ceylon Sapphire and Cornflower Ceylon SapphiresTM which are named for their brilliant blue color which resembles the unique blue of the cornflower. Sri Lanka is the most productive source for this gem and is the home to the oldest known sapphire mines which date back to the 2nd century A.D. 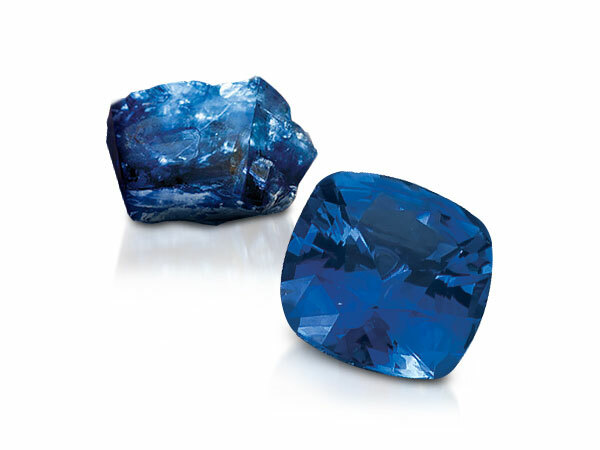 Many of the world's most famous sapphires - the Star of India and the Logan Sapphire - were discovered in Sri Lanka. Cornflower Ceylon SapphiresTM, which originate from the Pelmadulla Mine near Ratnapura, Sri Lanka, are set with cool tones of Vanilla Diamonds® and Vanilla Gold® to bring out its vibrant blue flavor. In the news? The 'Blue Belle of Asia,' a 392.52-carat Ceylon sapphire was the fourth of the most expensive jewels sold at auction in 2014 (the other 3 were natural color diamonds).
" Cornflower Ceylon SapphireTM appeals to the connoisseur of sapphires. Le Vian® sources one of the most prized varieties of genuine sapphire that resembles the cornflower from Sri Lanka (formerly known as Ceglon). "